The IBM POWER4 was released in 2001. 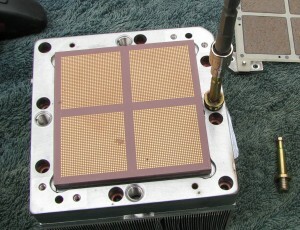 It was a 1.1-1.9GHz dual core processor widely used in IBM’s server line including the RS/6000 and AS/400. 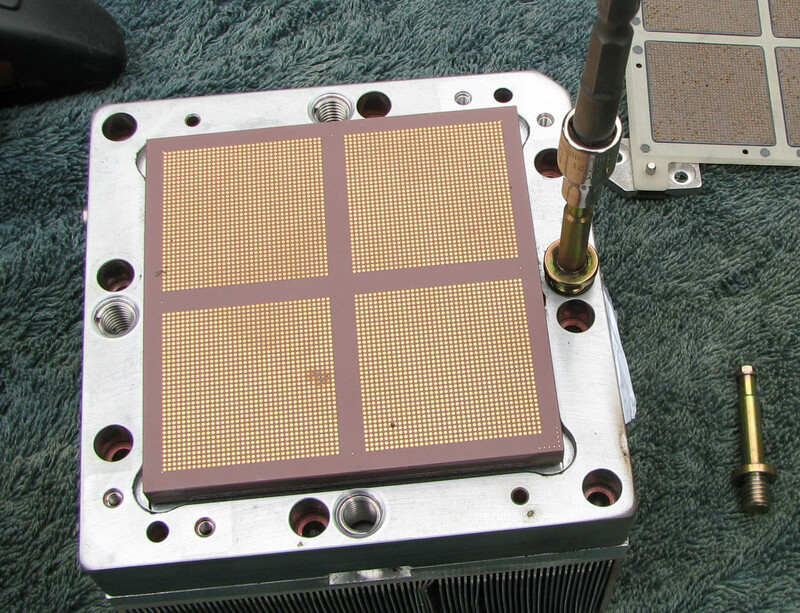 It can be commonly found as a single chip dual core, but also as a large MCM containing 4 POWER4 dies. 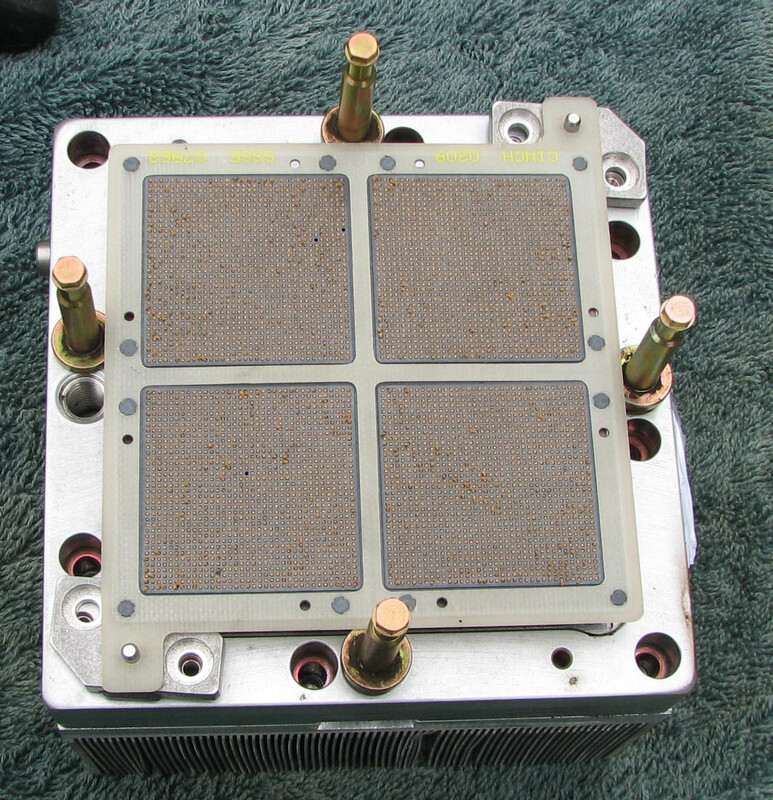 These MCMs include a very large and heavy aluminium heatsink attached to a solid copper housing. The complete unit weighs in at a hefty 3kg. 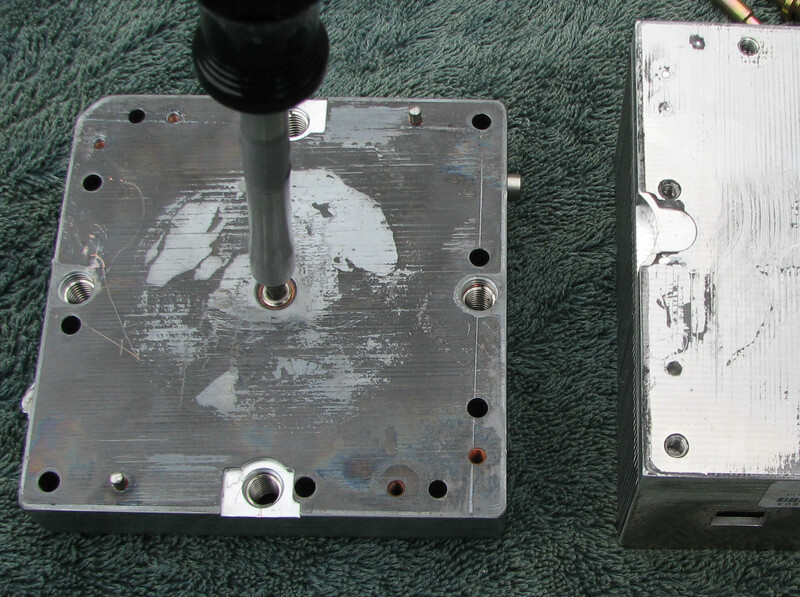 The heatsink and housing can be removed revealing a 230 gram MCM (with its small heat spreaders). First remove the 4 T8 torx screws that hold the interposer to the module. It gets in the way and can melt easily. 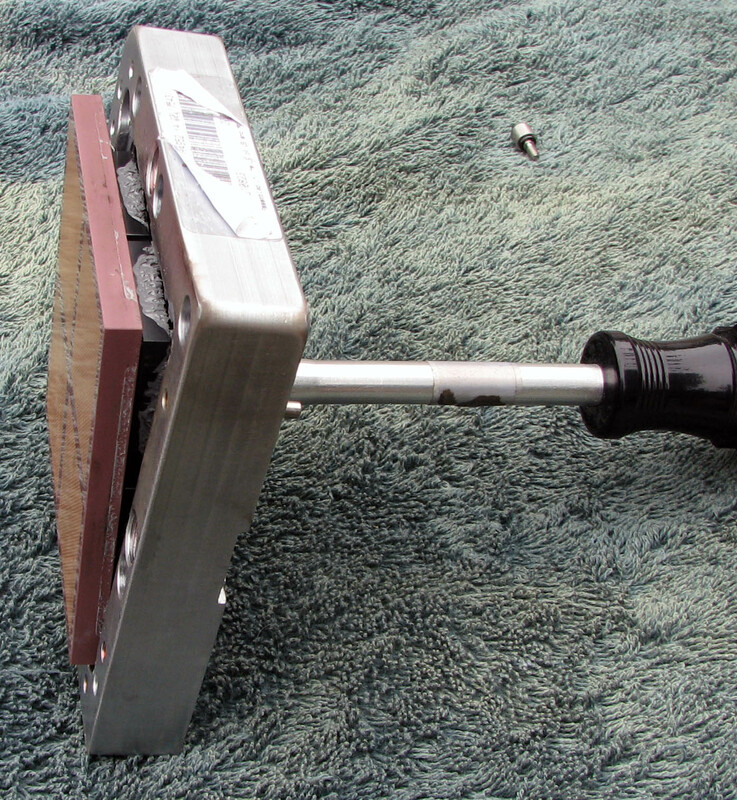 Also remove the 8 3mm screws around the perimeter. 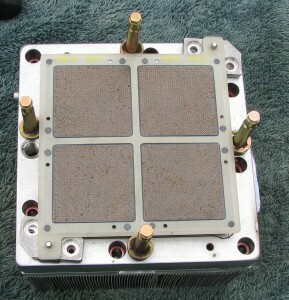 These hold the aluminium heatsink to the copper housing. Use the 4mm socket to remove the 4 posts. These are the alignment posts for installing the module in a server, which we will not be doing. 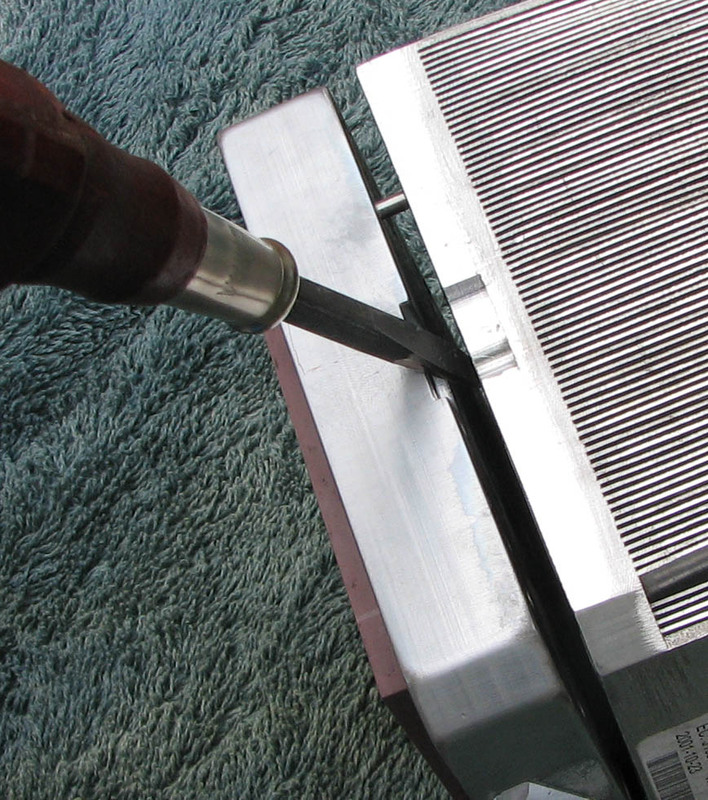 Use a medium flat tip screwdriver to pry the heatsink away from the housing. It is held on by a very thin layer of thermal compound so it comes off without much effort. Notice the large set screw in the middle of the housing, Use the 4mm hex head bit to loosen this, take it out, put it back in. We’ll need this later. 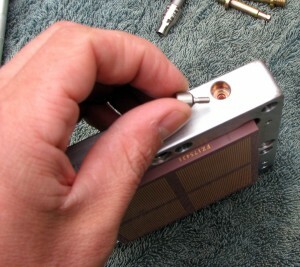 Using the 2.5mm hex bit remove the pressure relief screw from the side of the housing. I think this is used for the liquid cooling option on these servers. Here is where it gets interesting. 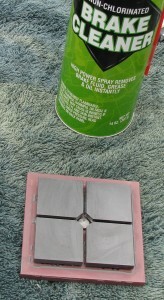 Use the torch or heat gun to evenly heat the housing. It must become very warm to loosen the glue and thermal grease. 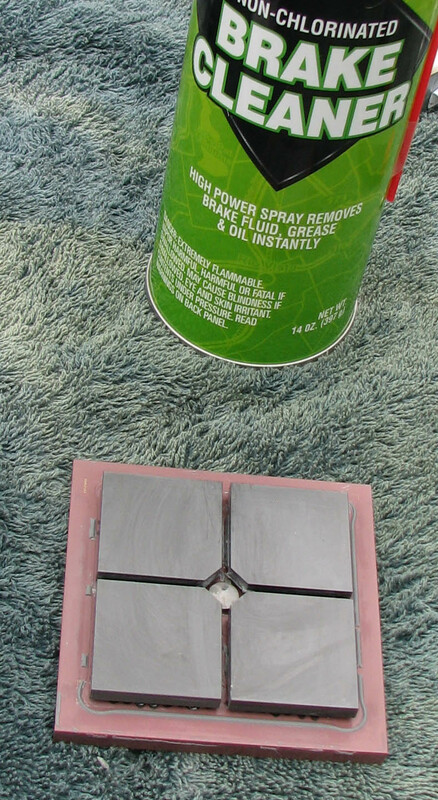 It is best to place the module on a non-flammable surface (not your wooden deck). 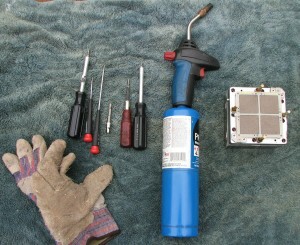 Rotate the module as you heat it (use gloves, it is VERY hot). Heat front and back. 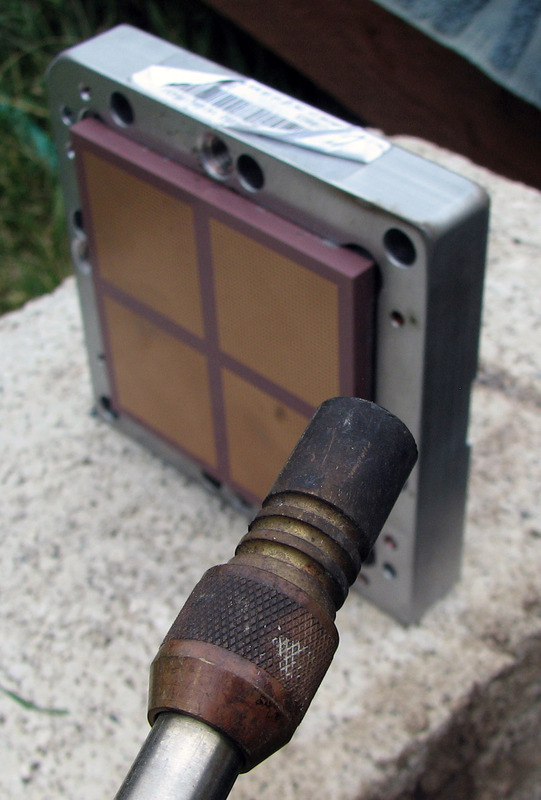 This may take 10 minutes of heating because the housing is solid copper, thus providing a very large thermal mass. Once the glue and thermal compound becomes soft use the 4 mm hex bit on the set screw. Screw it IN (clock wise) to the module. It will press on the center (metal) stud of the ceramic pushing it free. You may have to try this several times, heating in between. Again use caution. The housing and the ceramic MCM will then be separated. You can see that there is very little glue holding it to the housing. Also note the metal center studin the ceramic MCM that the set screw presses on. 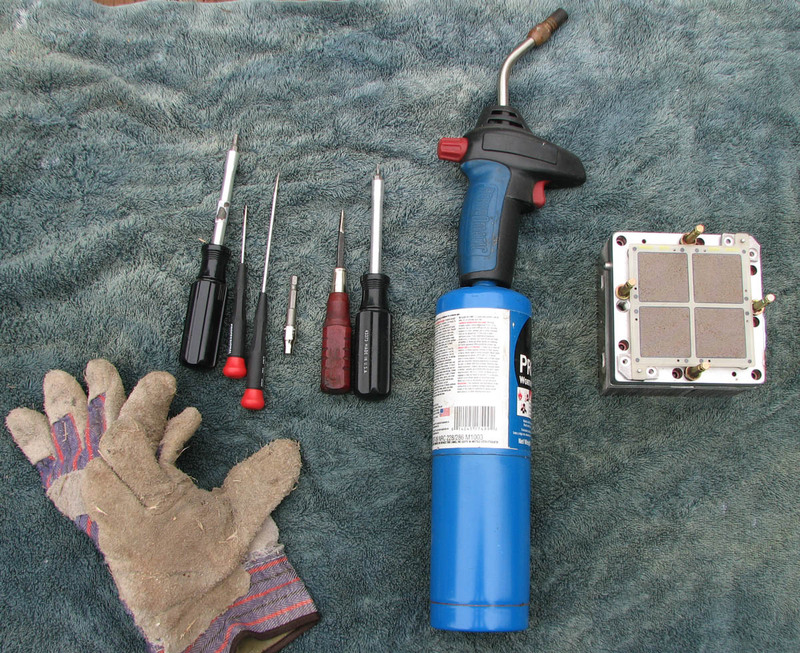 The thermal compound is easily cleaned with your favorite cleaner. I prefer a brake cleaner consisting of Toluene, Acetone, Xylene and Methanol. Be sure to wait at least an hour before attempting to do so, the ceramic holds the heat for some time. The copper housing will still be warm, even in room temperature air, for several hours. The 4 remaining heatspreaders are affixed to the dies with a silicon based glue. They can be removed by heating them, and then gently prying off (being careful not to chip the ceramic). I did not remove these ones as the customer had not yet asked me to do so. Wonderful posting. It is great to see you take the time to reveal the amazing craftsmanship and science behind(no pun untended) an era changing innovation. As a firm, we decompose large scale devices such as the S/390 and any other technology to a point such that nothing finds its way to a landfill. Not even a nut, bolt, screw or scrap piece of paper. It would be good to learn of any not for profit people or places who may find components and/or systems of this era of use. Certainly buying organizations or clients would be welcome but not expecting it. Once again, great posting and your coaching is greatly appreciated.